Douglas S. Bennett was selected by the Ballantine Communications Board of Directors in 2013 and empowered to convert the company into a new media business that can thrive in today’s ever changing media market place. 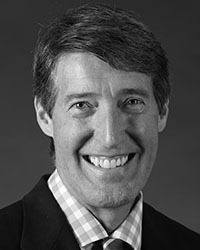 Previously, Bennett served as President of Freedom Interactive, a division of Freedom Communications, where he led the evolution from a traditional media company into a world-class, multi-platform information provider that reaches new audiences through mobile apps, tablets and social media. Prior to that, Mr. Bennett served as President, Chief Financial Officer for National Lampoon, Chief Operating Officer at iUniverse, Inc., and as President at Macmillan Publishing. David Habrat, brings two decades of community newspaper leadership to Ballantine Communications, Inc. Habrat’s initiatives include championing the cause of community journalism, teaching the craft of “high converting” commercial messaging through traditional and new media audience channels, and crafting “future-proof” marketing resources for local and regional SMB’s. Habrat was educated at the University of Wisconsin La Crosse. He has held sales and management roles with North Star Communications, Gannett’s St. Cloud Times, The Mankato Free Press, was the Regional Sales and Marketing Vice President for Community News Holdings Inc. and Regional Sales Director for Hagadone Corporation. Habrat is an award winning ad designer and niche product publisher. For almost three decades Sharon Hermes has served in Advertising, Promotions and Marketing roles for the Ballantine Communications organization. She now leads the Four Corners Expos division that began informally years ago as a result of sponsoring multiple charitable events in the community. The event division now officially produces and hosts nine large Expos annually and is expected to expand in the near future. 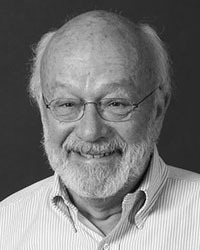 Ballantine served as the publisher of the Durango Herald for over 30 years and continues to be involved in his role as the Chairman of the Board of Directors. During his tenure the organization acquired local papers in Cortez, Mancos and Dolores, published business magazines and phone directories and created online news websites. Under Ballantine’s leadership, the news and advertising departments earned numerous statewide awards and in 1997, he was individually named the Colorado Press Association Newspaper Person of the Year. Ballantine is a Stanford University graduate and a U.S. Army veteran. He divides his time between acting as chairman for the Durango Herald and Cortez Journal editorial board, Ballantine Communications Board of Directors responsibilities, several worthy philanthropies and farming in Durango, Colorado. 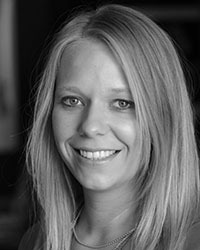 Janice Burnham has been a director of Ballantine Communications since 2012. She is also CEO of the ROC Group, a corporate communications consulting firm headquartered in Chicago. 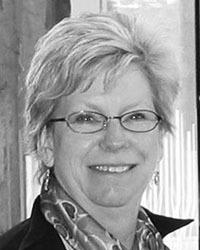 Jan earned her BA from Carleton College, and resides in Evanston, Illinois and Durango, Colorado. 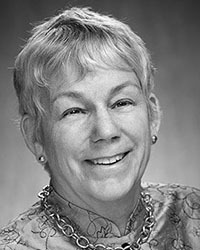 Helen Ballantine Healy grew up in Durango, Colorado and received her BA from Kirkland College and an MBA from the University of Kansas. After obtaining her CPA she was an income tax consultant in Wichita, Kansas, where she still resides. 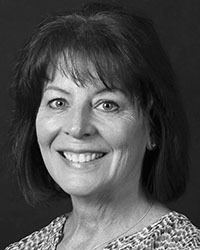 Today, Helen is the treasurer for the Greater Wichita YMCA, vice chairman of the Rainbows United Charitable Foundation, and serves on the steering committee for Far Above, the capital campaign for Kansas. She has been a BCI board member since 1975. Elizabeth Ballantine is president of the InterAmerican Press Association. She earned a BA and PhD from Yale University and a JD from the American University Washington College of Law. She grew up in Durango and now resides in McLean, Virginia. She serves on numerous corporate and volunteer boards. Elizabeth has been a board member since 1975. 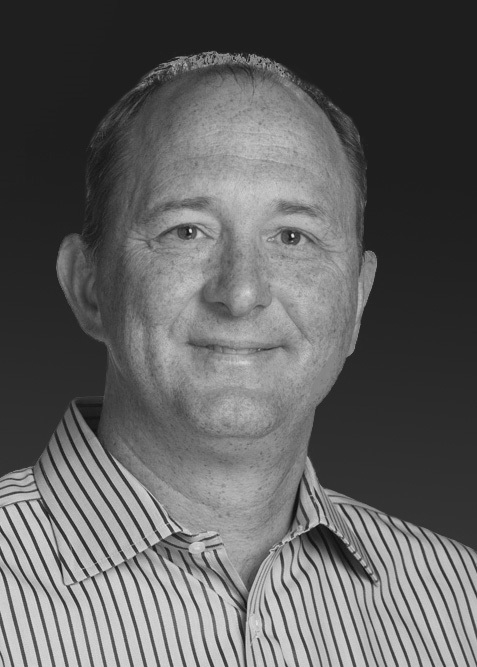 Doug Bennett began his work as a member of the Board of Directors at the time he joined the company as CEO of the organization in 2013. His background information is available earlier in this section. 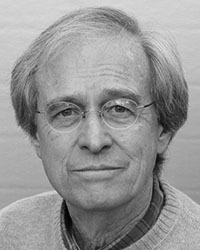 Wayne Roth worked in public media for more than 40 years, including thirty years as the President & General Manager of KUOW Public Radio in Seattle. Mr. Roth was elected to three terms on the National Public Radio Board of Directors (NPR), two years as Chair. He retired in 2013 and was elected to the City Council of Bainbridge Island, Washington in 2014. Mr. Roth has served on the Ballantine Communications Board since 1992. He has an MA degree in communications and a BA degree in English. William C. Leavitt leads corporate strategy and business development initiatives at an oilfield services company based in Fort Worth, TX. Previously, he was a corporate M&A and capital markets lawyer in New York City. He earned a B.A. from U.V.A., a J.D. from Columbia and an M.B.A. from Wharton. He has been a board member since 2012. Morley Healy Stalnaker attended Trinity University where she earned a B.A. in Marketing and Finance as well as her Master’s in Healthcare Administration. Morley currently resides in Wichita, Kansas, and works in Strategic Development at Via Christi Health, the largest provider of health services in Kansas. Morley has been coming to Durango her entire life and has been a board member since 2012. Christopher Ballantine has a B.A. from George Washington University and an M.S. in Telecommunications from the University of Colorado- Boulder. He has worked for various telecom companies in Colorado, including Interface Communications, as well as contract work for Comcast in Denver. 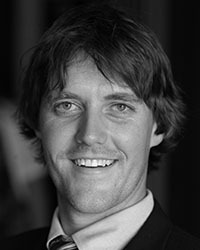 Currently he is a naturopathic medical student at Bastyr University in San Diego, CA. Chris grew up in Durango and has been on the board since 2012.